Car avoids oncoming traffic and..
A car has crossed several lanes before slamming into a phone box outside a block of flats at Springvale. Amazingly, nobody was hurt in the crash. 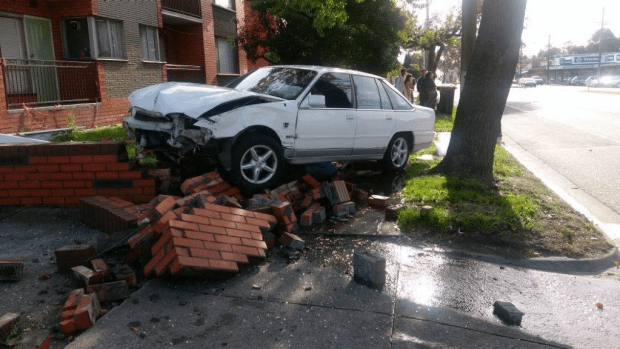 3AW was sent photos of the smash which happened on Tuesday.